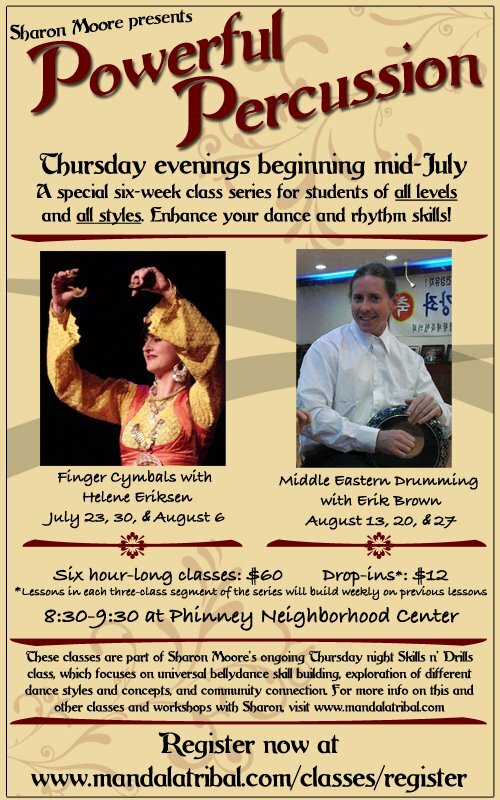 Home » Blog » finger cymbals » Class Newsletter: New session tonight! 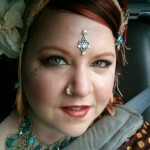 The next new session of Tribal Bellydance with Sharon Moore begins tonight at 7:30pm. First it’s Level 1 Foundations! Then at 8:30pm it’s Level 2b – Skills n’ Drills! This session topic is open to *all levels*, but it is recommended that you have taken at least a few sessions of Level 1 and/or are familiar with basic bellydance concepts. ~ This session’s Skills n’ Drills special topic is Creative Combos with Finger Cymbals! Inspired by my recent intensive study with Jamila Salimpour – one of the Mothers of American Bellydance as we know it – I will be sharing with you various combinations of movement paired with finger cymbals patterns. We’ll start with some deep muscle isolation drills to get our hearts pumping, then each class we will dig into a couple different finger cymbal patterns, a couple movements and variations, and then pair them together into a combination we can dance together. Each week will build in complexity as we increase our confidence with finger cymbals while dancing. Bring your finger cymbals and be ready for a fun, challenging workout. ~ Don’t worry if you don’t have a lot of finger cymbal experience! We will be breaking the skills down piece by piece, and each dancer can work at their own comfort level. I definitely recommend this class for dancers of all skill levels and styles to add some new movement and rhythm skills to their repertoire.